Looking for a quick, delicious, protein-packed breakfast? You can easily pack this Turkey Egg White omelet for lunch as well. 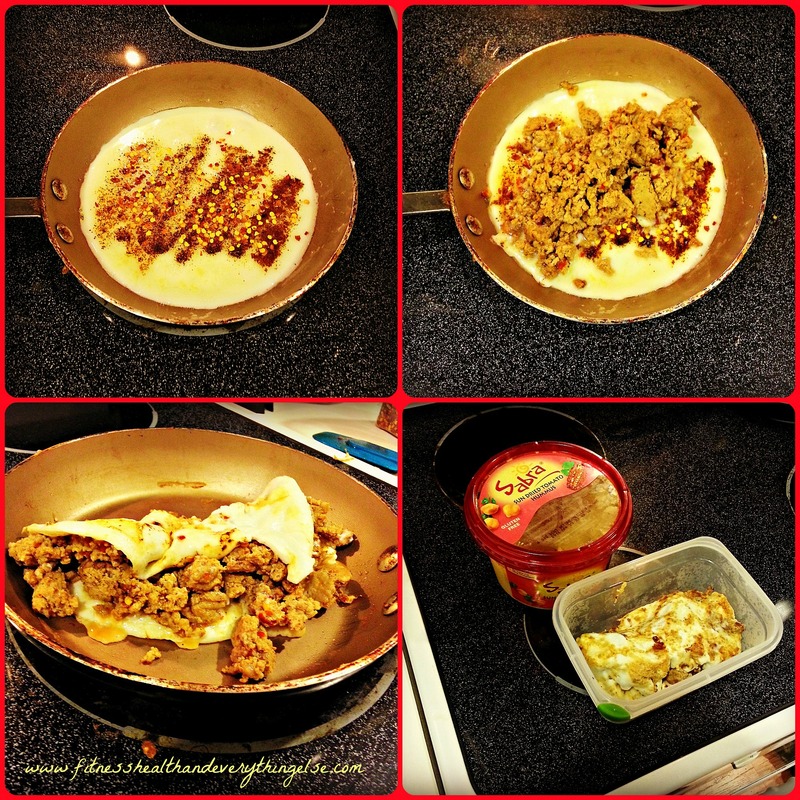 -Pour 4oz cooked ground turkey into the center and fold when completely cooked to resemble and omelet, forgive my poor omelet folding skills! -For extra zest, flavor, and excitement, top with 2 tablespoons of hummus, or as much as your heart desires! This entry was tagged bikini, bikini competition, bikini prep, body building, bodybuilding, cardio, competition, competition prep, core, delicious, diet, emerald cup, exercise, fit, fitness, food, foodie, glutes, goals, health, healthy, HIIT, inspiration, lifting, meal prep, motivation, muscle, Physical exercise, progress, protein, recipe, run, running, Strength training, weight loss. Bookmark the permalink.